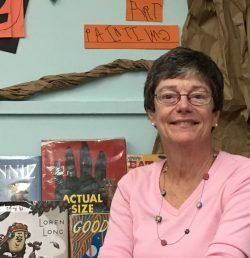 »About the Author, Author Interviews-Spotlights-and-Guests»Interview with Teacher Jennie Fitzkee! Please help me welcome teacher Jennie Fitzkee to Jemsbooks.blog Interview Segment. Jennie is the first teacher that I have had the pleasure to interview. Jennie is a lovely lady and an exceptional teacher of preschool. I happened upon her fabulous blog and have enjoyed reading about her classroom, students and what she has accomplished with these young children. She is utterly amazing. My pleasure, Jennie. The stage is all yours. 1. What does a teacher need to do to be successful?